The It's My Party Tour! Can you believe it? Latina powerhouse Jennifer Lopez is turning 50 this year and to celebrate, she's heading out on an extensive tour across the country, bringing the party to you! Fresh from a three year Vegas residency, expect an exciting and enthralling show with energetic dance numbers as well as more personal and stripped-back moments from the mega-star on the It's My Party Tour. Jennifer Lopez first exploded onto the music scene in 1999 with her debut album On The 6. 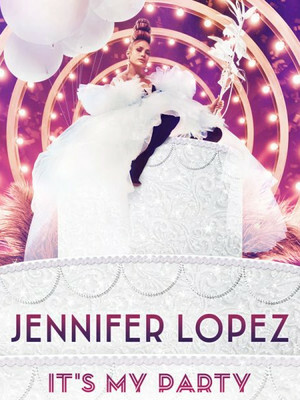 Since then J.Lo has dominated the music scene having won 3 American Music Awards and spending a total of 52 weeks in the top 10 throughout her career. J.Lo's successes haven't totally been in music as she has starred in a number of Hollywood Blockbusters as well as being a judge on hit TV show American Idol for 9 years. Seen Jennifer Lopez? Loved it? Hated it? Sound good to you? Share this page on social media and let your friends know about Jennifer Lopez at American Family Insurance Amphitheater. Please note: The term American Family Insurance Amphitheater and/or Jennifer Lopez as well as all associated graphics, logos, and/or other trademarks, tradenames or copyrights are the property of the American Family Insurance Amphitheater and/or Jennifer Lopez and are used herein for factual descriptive purposes only. We are in no way associated with or authorized by the American Family Insurance Amphitheater and/or Jennifer Lopez and neither that entity nor any of its affiliates have licensed or endorsed us to sell tickets, goods and or services in conjunction with their events.